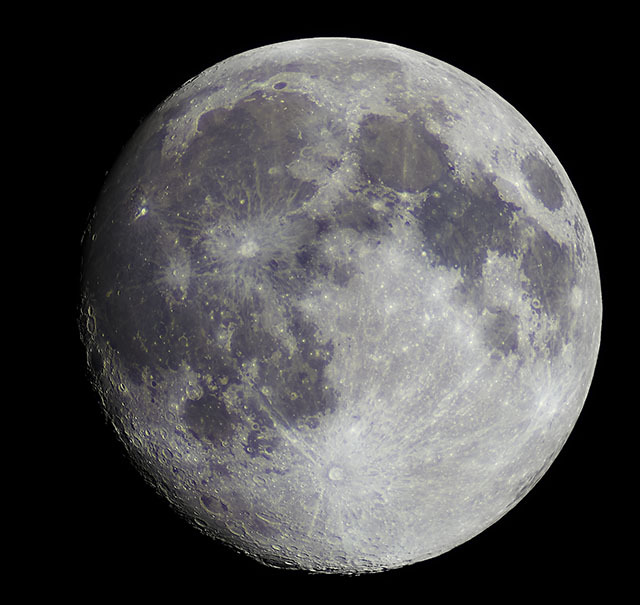 Nearly full Moon from Austin 2016-07-18 04:16 UT. Explore Scientific AR-102 with Sony a6300 at prime focus. Best 8 images 1/200 sec at ISO 100. Stacked and deconvolved in Lynkeos. Final crop, exposure adjustment and disk edge color correction in Photoshop. Explore Scientific AR102 on a Vixen Super Polaris Mount. 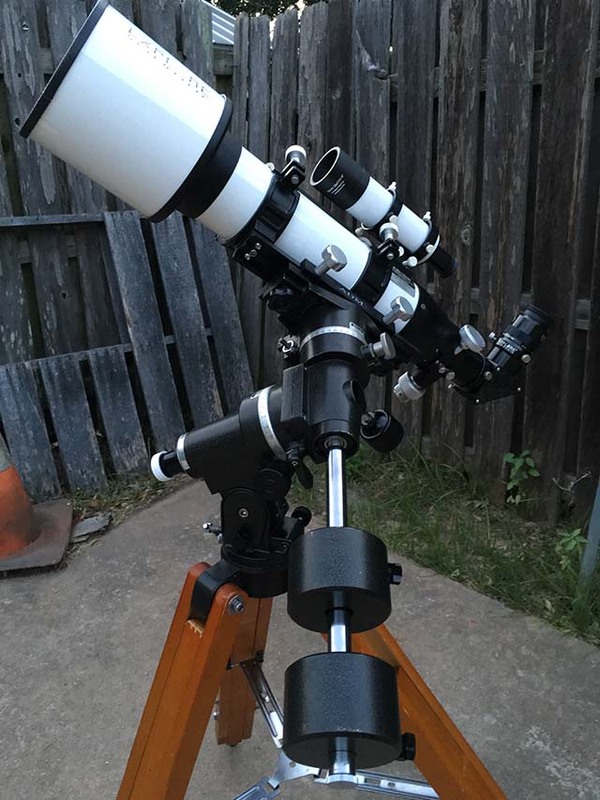 I also set up the Questar for images of both the Moon and Saturn. I was struck by how much easier the Questar is to setup for grab and go astrophotography than the refractor on an equatorial mount.